Inversion is a game where, well gravity is not always quite there making things quite chaotic. After the once normal planet is invaded, the enemy simply uses gravity as their main weapon and you will get to use gravity manipulating weapons in conjuction to face the invasion. Inversion comes out for the Xbox 360 and Playstation 3 on February 7, 2012. 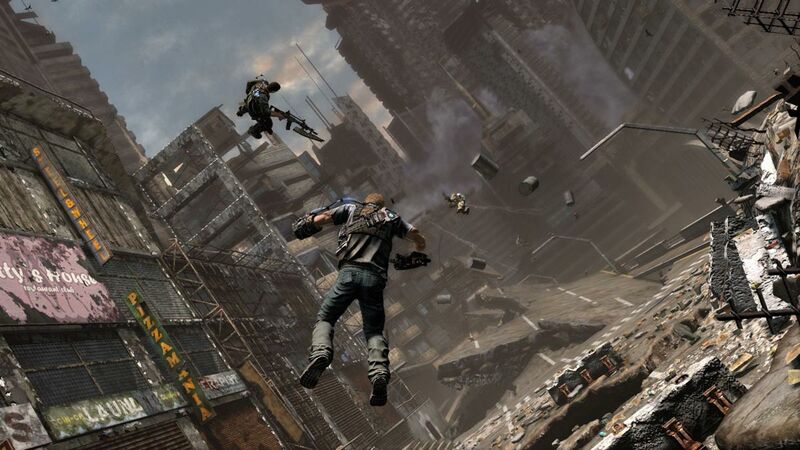 The third person co-op shooter will be published by Namco Bandai and developed by Saber Interactive. Check out the gameplay trailer below and some more live-action film shorts here.